The Buddhists observe Vesak Day which denotes perfection and commemorates the birth, enlightenment and Nirvana (liberation from earthly passions and desires) of the Buddha. Vesak Day is an annual festival celebrated by practicing Buddhists in many Asian countries such as Cambodia, Hong Kong, Indonesia, Malaysia, Myanmar, Sri Lanka, Taiwan and Vietnam. However the name of the festival vary widely. 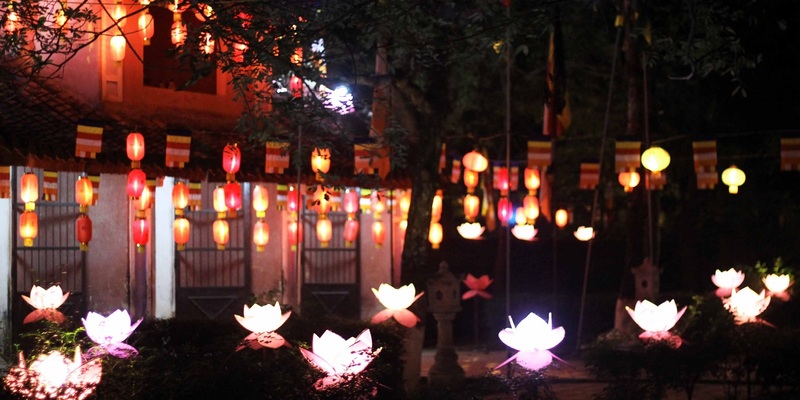 “Vesak” is a word in Singhalese, the language of the majority Buddhists in Sri Lanka. The main emphasis in celebrating this festival is to commemorate the events in Buddha’s life namely his birth, enlightenment and passing away. On Vesak day, devout Buddhists and followers are requested to assemble in their various temples before dawn to observe sill and the singing of hymns in praise of the holy triple gem: The Buddha, The Dharma (his teachings), and The Sangha (his disciples). Devotees may bring simple offerings of flowers, lamps and joss-sticks to lay at the feet of their teacher. Celebrating Vesak also means making special efforts to bring happiness to the unfortunate like the aged, the handicapped and the sick. On this day, Buddhists will distribute gifts in cash and kind to various charitable homes throughout the country. In determining the day of vesak, traditional lunar calendar is followed. It does not always coincide with a specific date of the western calendar, but it falls on the full moon day of the month of May. Other than the exclusive religious aspects of the festival, the Buddhists of Sri Lanka, decorate their houses and public places and arrange for various cultural events to bring happiness to everyone on that day. People make Lanterns, which are generally referred to as vesak lanterns, of various shapes and sizes incorporating coloured electric lights. These lanterns are displayed in private houses as well as in streets and public places. Huge lanterns with considerable artistic appeal attract many people to the places where they are displayed. Another feature of the festival decoration is large decorative structures, “known as vesak pandal”, placed at important locations such as road junctions. They normally depict events from Buddha’s life and elaborately decorated with coloured electric bulbs forming dynamic patterns. These highly creative works never fail to attract thousands of people to these locations.